Words cannot Express What this man has done for not only the sport of Boxing, but for the African American Community as a whole. Smokin’ Joe Frazier was and is a true Legend, Icon, and a dignified Man amongst Men. Joe Frazier was one one of the greatest men to ever lace a pair a boxing gloves and throw a punch and his Legacy will and should reflect that. 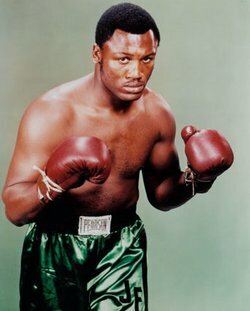 R.I.P SMOKIN’ JOE FRAZIER..THERE WILL NEVER BE ANOTHER LIKE YOU.